Confluent has worked with a number of organizations that have architected themselves around event streaming platforms, to the extent the platform has become fundamental to how the business operates. Use cases for event streaming platforms vary from improving the customer experience, to facilitating new business models, to driving increased efficiency and/or mitigating risk. 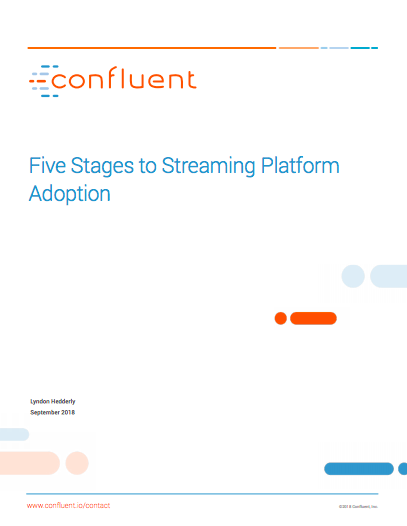 Regardless of the use case, through working with many of these organizations, we have synthesized some common themes of streaming maturity and have identified five stages of adoption.